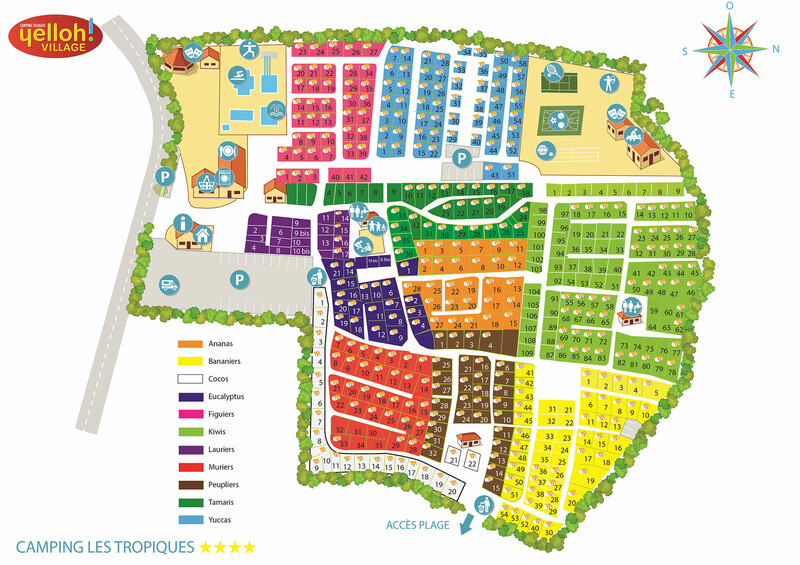 Forget the stress and worrying about the unexpected, thanks to the services available at your camping Les Tropiques: information, hire and rentals, restaurant and snack bar, grocery store... With Yelloh! Village, there are no problems, only solutions! All top-of-the-range, of course! For all your questions about the campsite or its surrounding area... For anything you need to hire...Just one address: campsite reception or management during July/August! Throughout your stay our team is here to listen, and make your everyday life that little bit easier: tourist information, baby kit, barbecue or bike hire... Don’t hesitate to call in and see us! And because at the camping Les Tropiques we’ve thought of everything, you can even enjoy the convenience of a laundry that’s open 24/7 and a self-service car-wash. You can’t get much more practical than that! Discover the restaurant at the camping Les Tropiques: with its delicious Mediterranean cuisine, it’s certain to please all the family! If you’re feeling peckish or just want to grab a quick bite, head for the snack bar: pizzas, burgers... And if you’re an ice cream lover then you’re certain to adore our artisanal ice creams, home-made on-site by “Maison Launay”! We all know that shopping is rarely a pleasure, especially when on holiday! So to make things easier for you, we've thought of everything: a grocer's with basic household items, fresh bread, plus pastries, a fresh food aisle with cheese, salads, charcuterie and meats etc. Enough to make your mouth water!